The Linksys app is a free mobile application that allows you to securely access your home network, router features, settings and configuration from a mobile device. 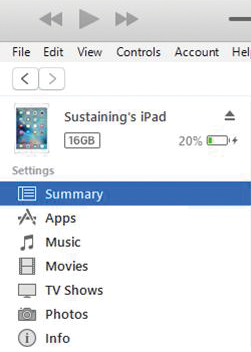 This article will provide you with instructions on how to install this application for your iPad®, iPhone® and iPod touch® through the App Store® or iTunes®. Click on the links below to know how. However, if you are using an Android™ device, you may click here. IMPORTANT: This is only compatible with iOS 8 and later. Tap the App Store icon on your Apple® device. 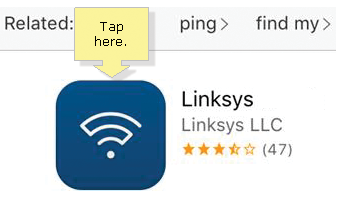 Enter “linksys” in the search box then tap [Search]. Tap the GET button, then INSTALL to start downloading the app. Wait for the app to download completely. QUICK TIP: You can tap Details, Reviews and Related tabs for more information about the application. Once finished, tap OPEN to use the app. Connect your iOS device to the USB port of your computer. In the search bar, enter “linksys”, then press [Search]. Select Get and start downloading the app. NOTE: When you are prompted by the Sign In pop-up box, provide your Apple ID and Password. Go to your device, then select Apps. 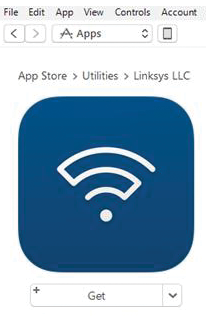 Look for the Linksys app. Tap Install to install the app to your device. To sync the device and start installing, tap Apply. IMPORTANT: Wait for the app to be fully installed on your device before disconnecting your device from your computer. You have now successfully installed the Linksys app to your device. You can now start using the app. To learn how to navigate through your app, click here.